Not much is known about Auguste Bonneville, other than that he originally worked for the Clair Godfroy company, the same company where Louis Lot had earlier worked (and co-owned) for many years. 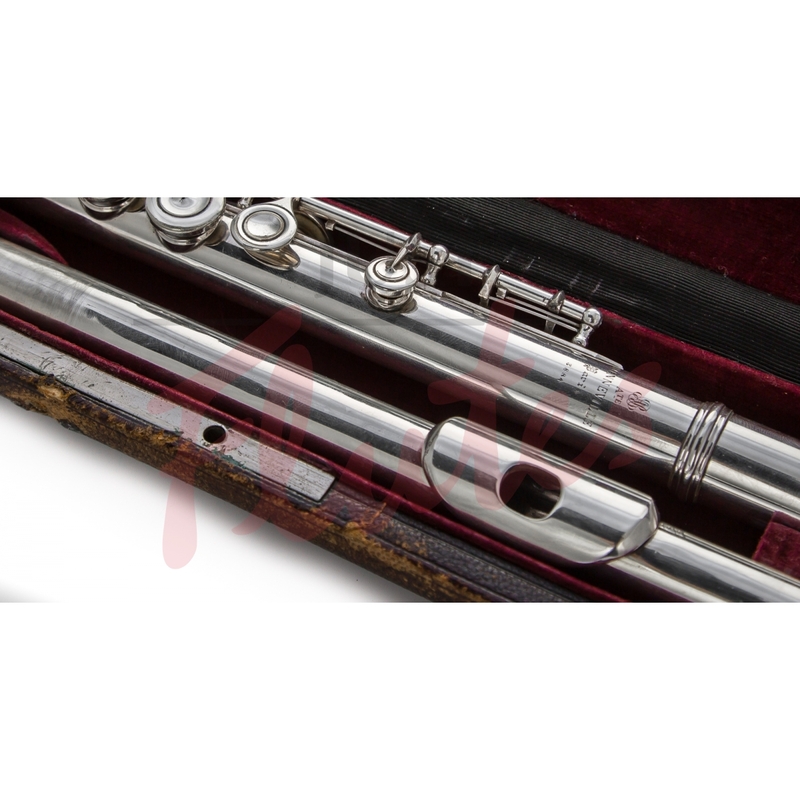 In 1876 he establised his own flutemaking business in Paris, and we estimate that this particular flute was made around 1915. 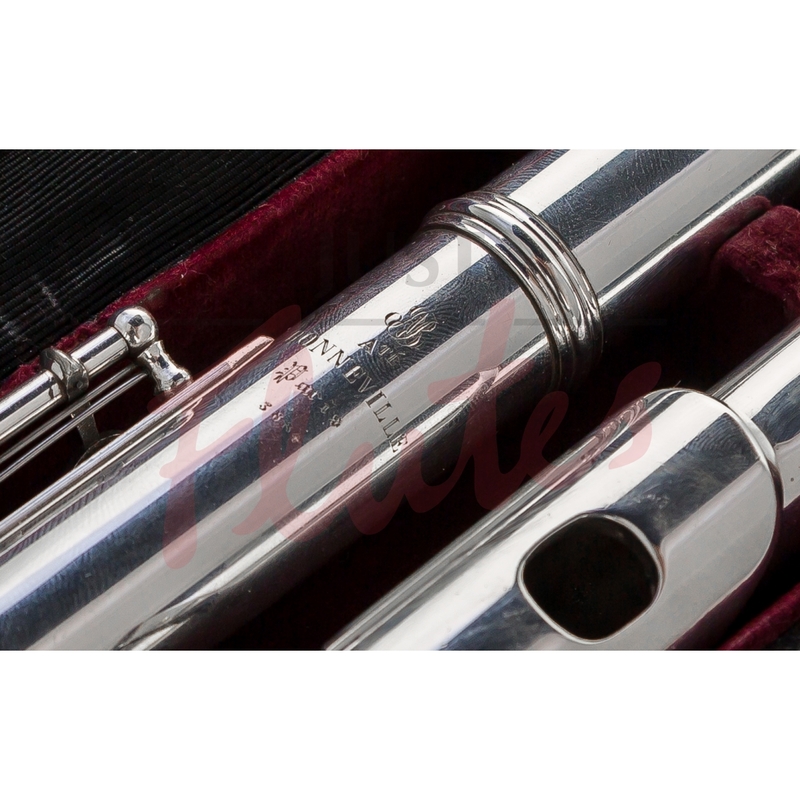 Bonneville flutes are, in our view, under-rated and often over-looked instruments: coupled with a very good headjoint made by the esteemed Sebastian Bell (valued itself at approximately £1,200), this flute blows well and is highly recommended for a player looking for an authentic French sound. 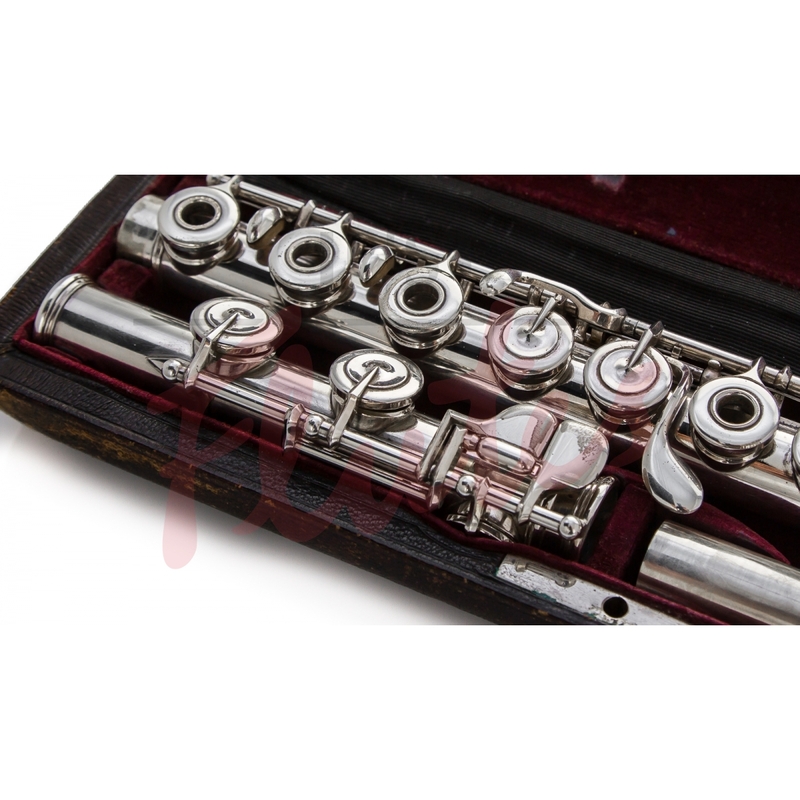 This flute has just been given a thorough checkover and clean in our workshop and is in great playing order. 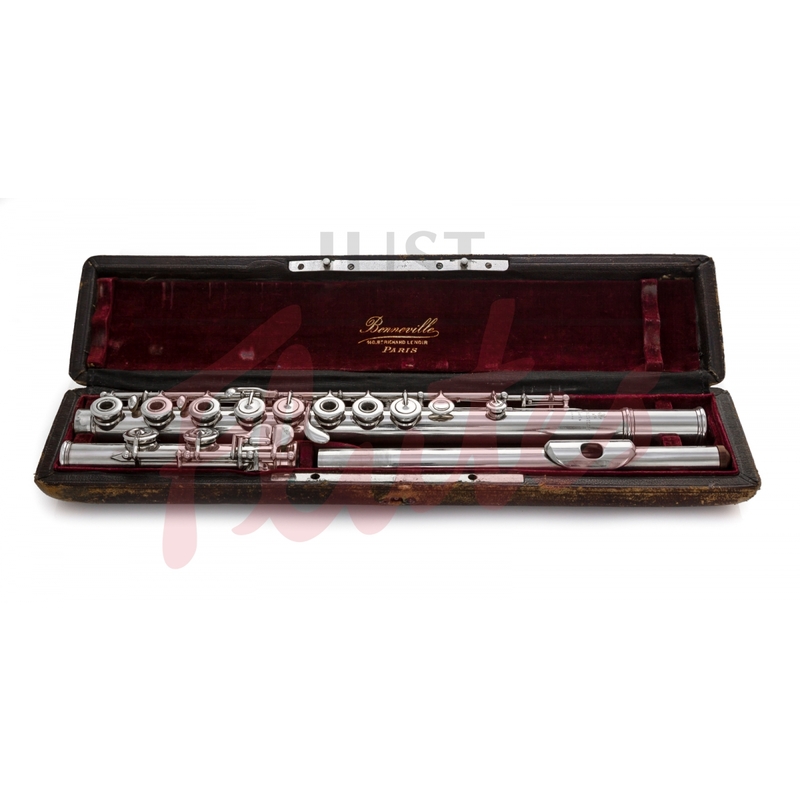 There is some minor wear to the silver plating, most notably to the D and D# keys.